Galaxy 4R, a Hughes HS-601HP or "high power" spacecraft, will provide broadcast and telecommunications service to North America, with the capability to provide back-up services to Latin America. The satellite was built on an expedited basis. Hughes, recognizing the importance of being prepared to quickly launch replacement satellites for its customers, had ordered many of the long-lead items. This, coupled with the increased production capacity in the Integrated Satellite Factory, the world's largest, made it possible for Hughes to provide Galaxy IVR to PanAmSat in such a short time period. Galaxy IVR was originally scheduled for a Proton-K Blok-DM3 launch, but because of a launch failure Pan Am Sat shifted to an Ariane-4 launch vehicle. Hughes and Arianespace worked together to make the change in near record time. Galaxy IVR was successfully launched on 18 April 2000. By 2003, both primary and secondary XIPS of Galaxy IVR have failed. Galaxy 10R, a Hughes 601HP or "high power" spacecraft, will deliver analog as well as digital cable TV channels and will serve as a major pipeline for satellite-based telecommunications networks in the United States. The satellite was built on an expedited basis, meaning that it launched on an Ariane-42L H10-3 14 months after being ordered. Hughes, recognizing the importance of being prepared to quickly launch replacement satellites for its customers, had ordered many of the long-lead items. This, coupled with the increased production capacity in the Integration and Test Complex, the world's largest, made it possible for Hughes to provide Galaxy XR to PanAmSat in such a short time period. Galaxy 10R has lost both its primary and its secondary XIPS system in August 2004, probably reducing the remaing life to 3 years. 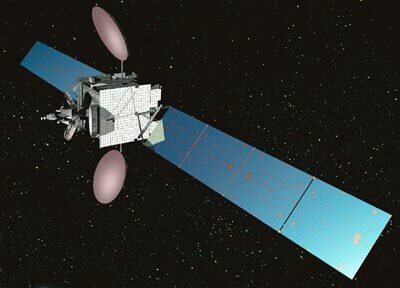 Galaxy 4R was retired froms service in April 2009 and maneuvered to a graveyard orbit.